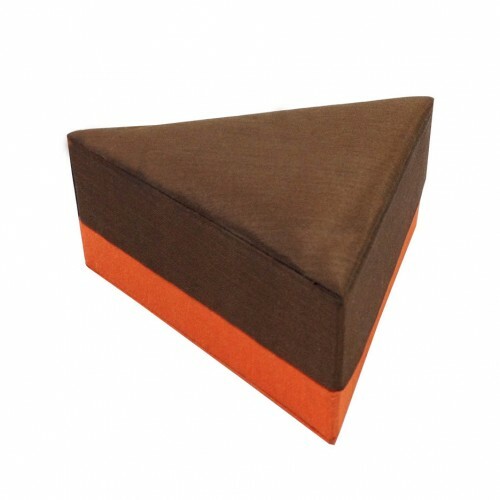 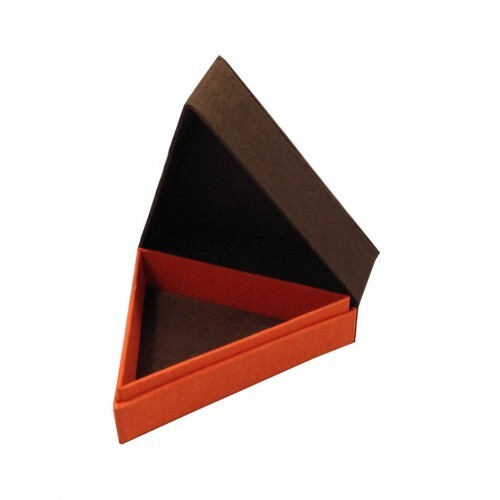 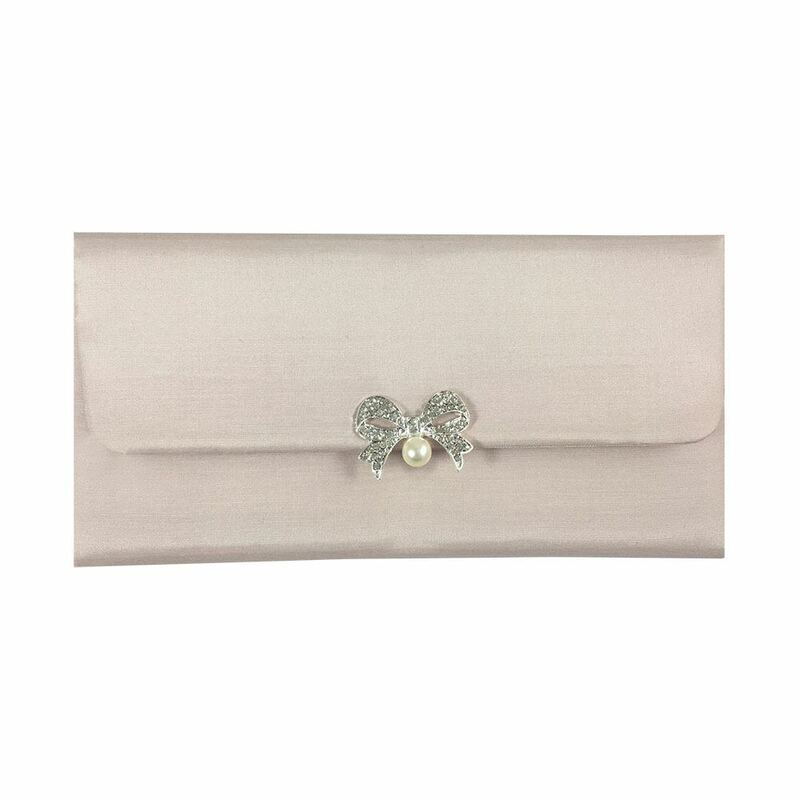 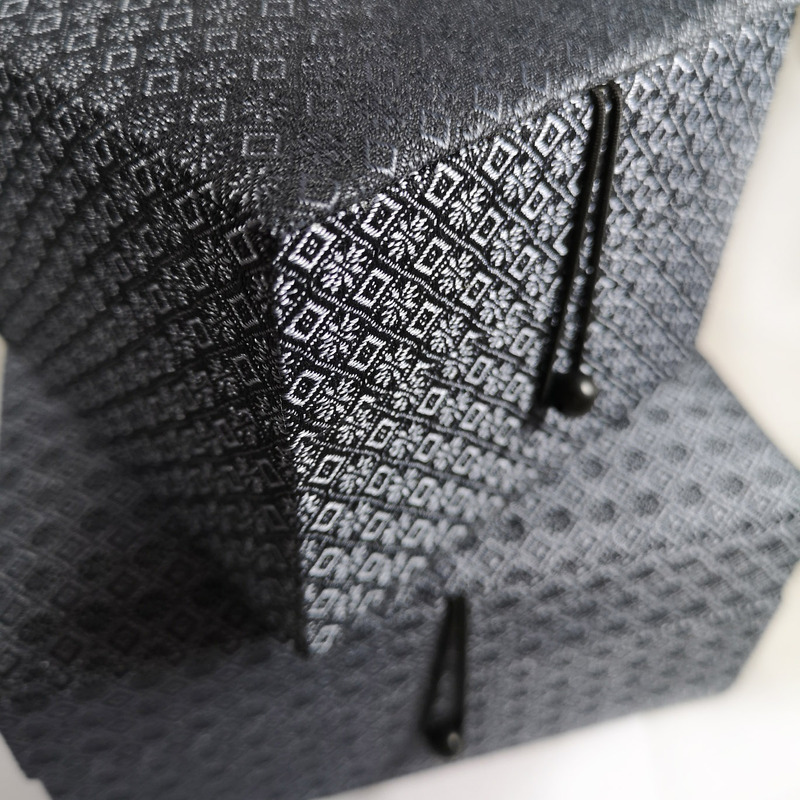 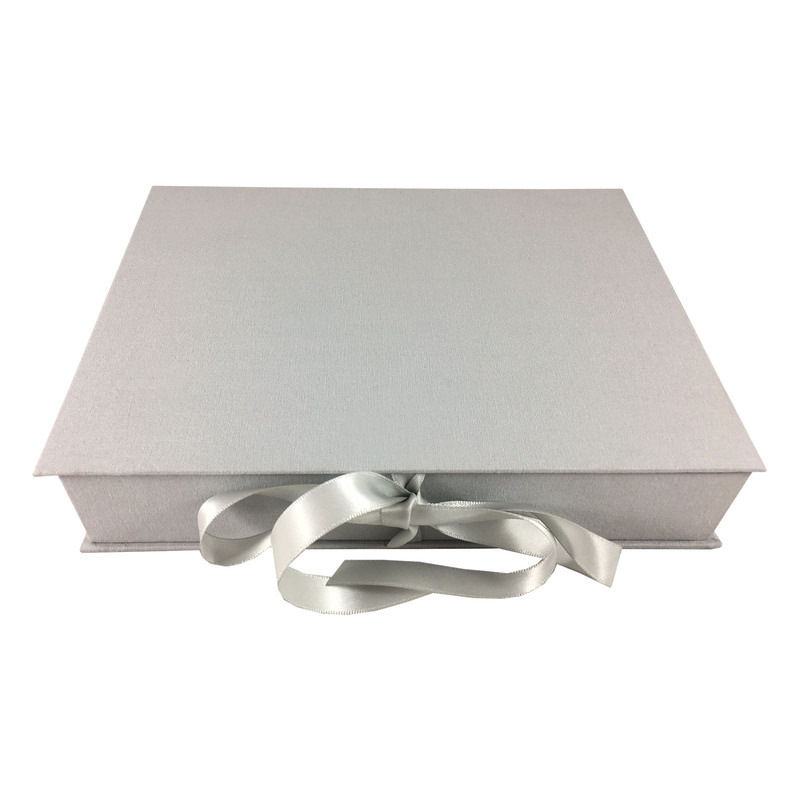 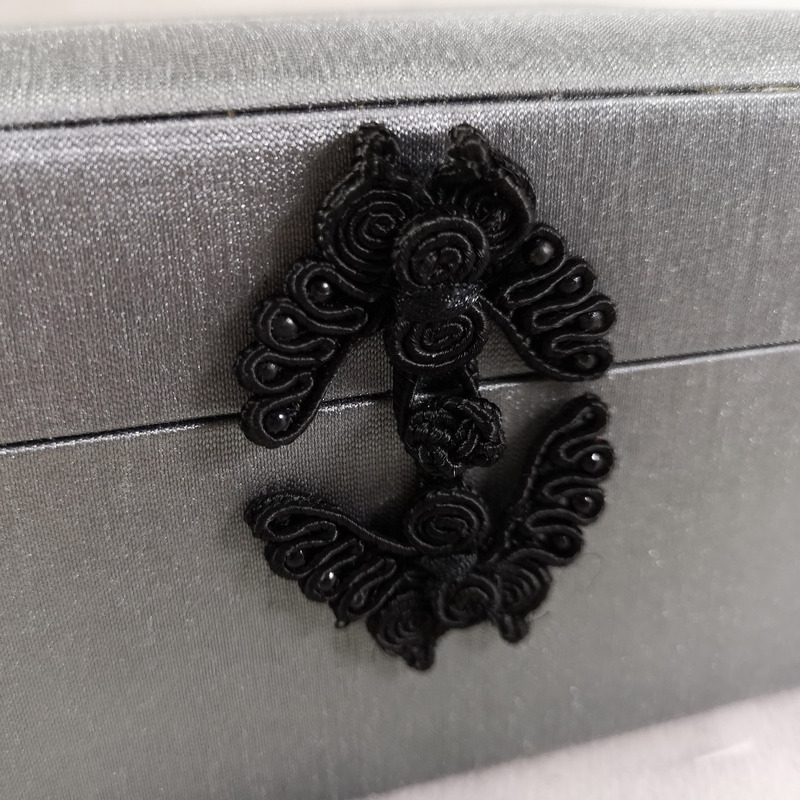 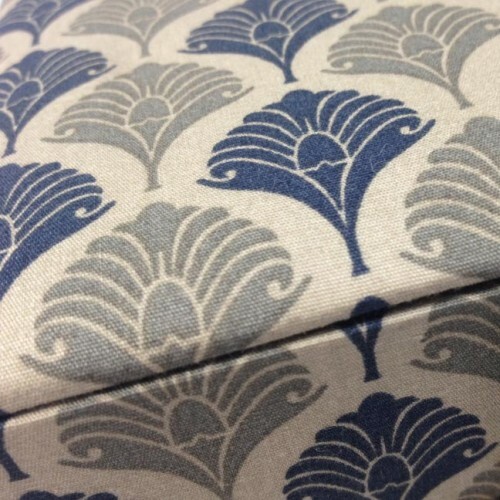 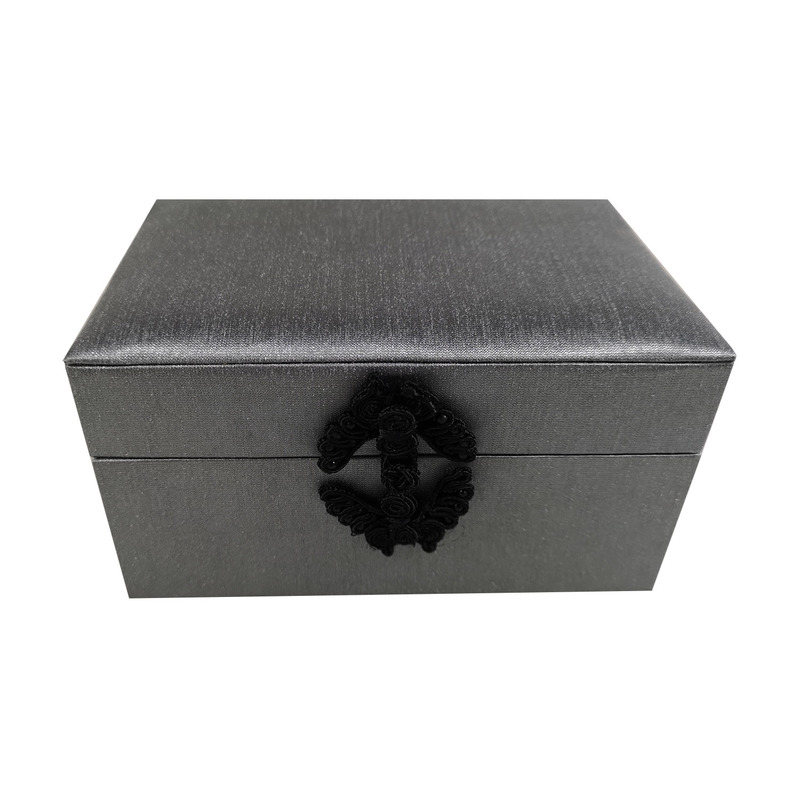 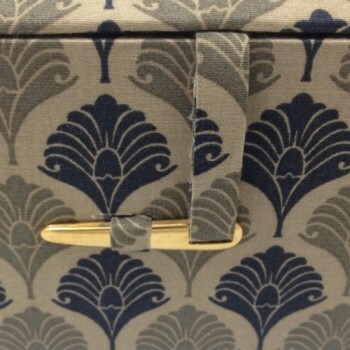 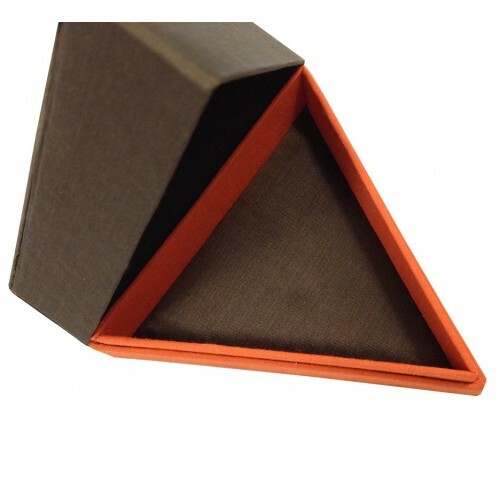 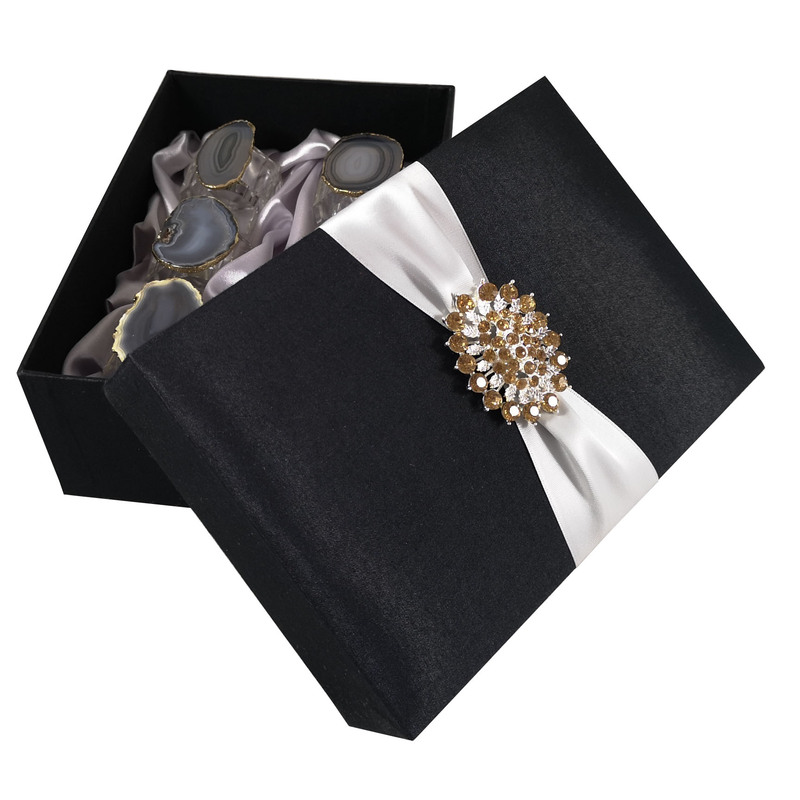 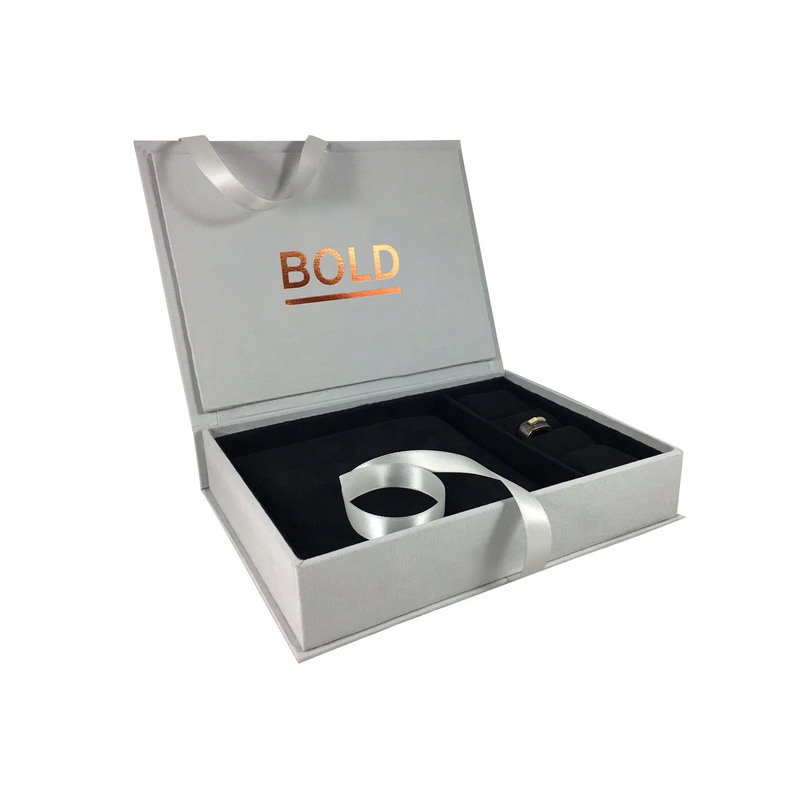 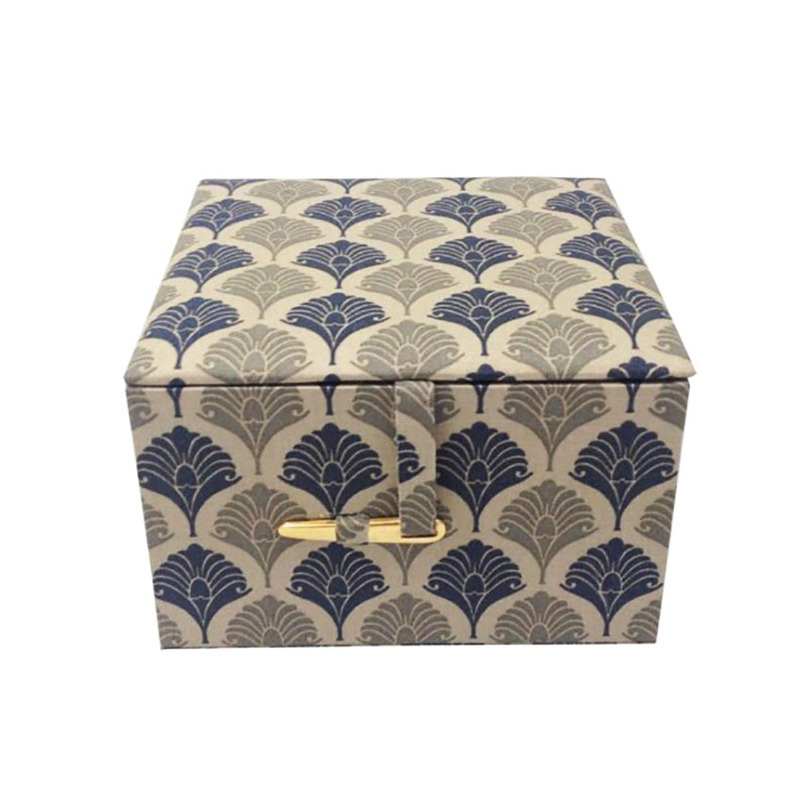 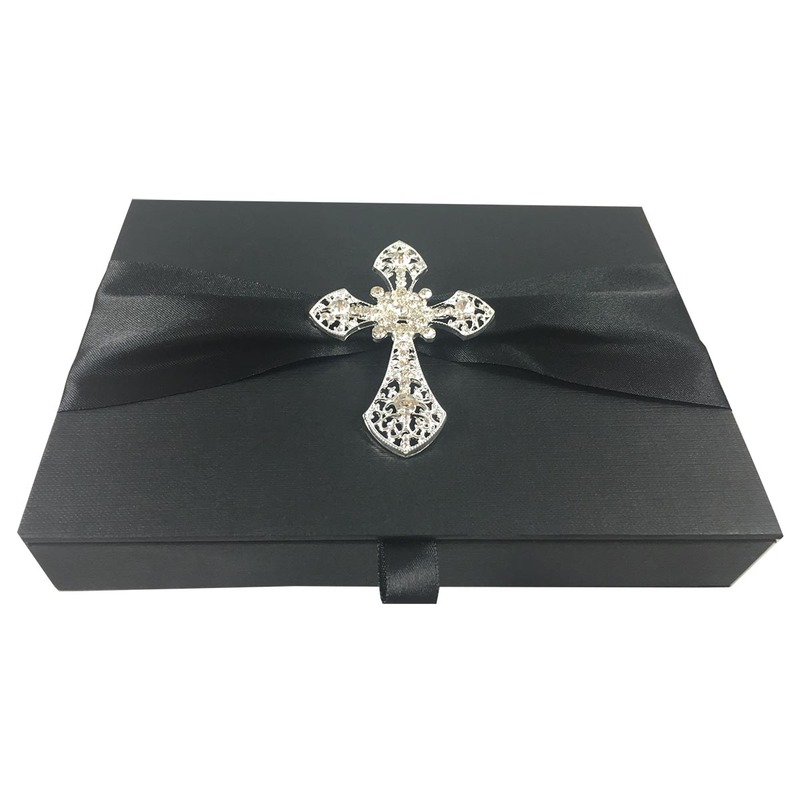 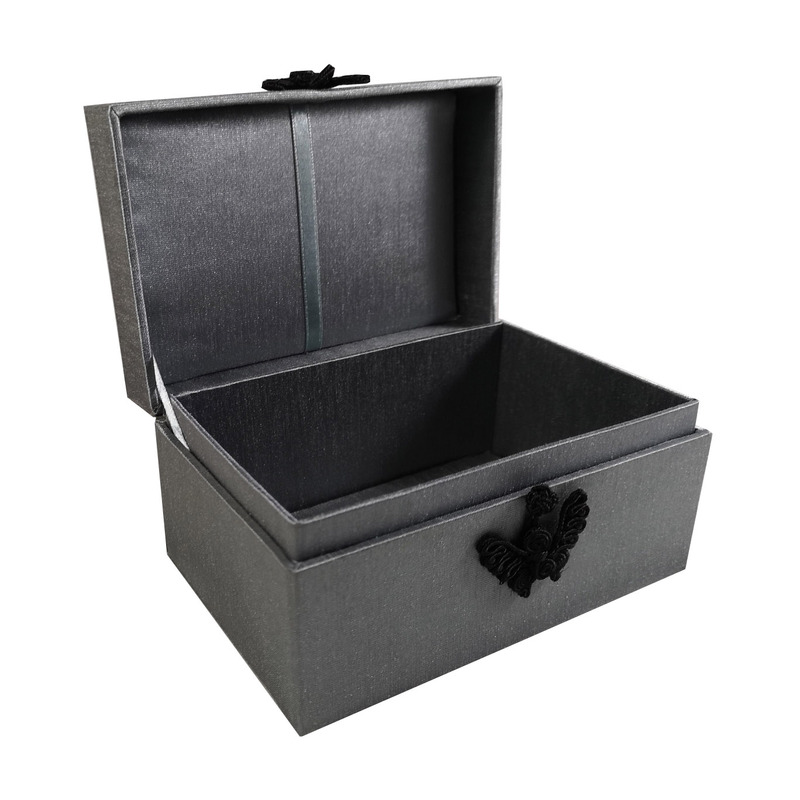 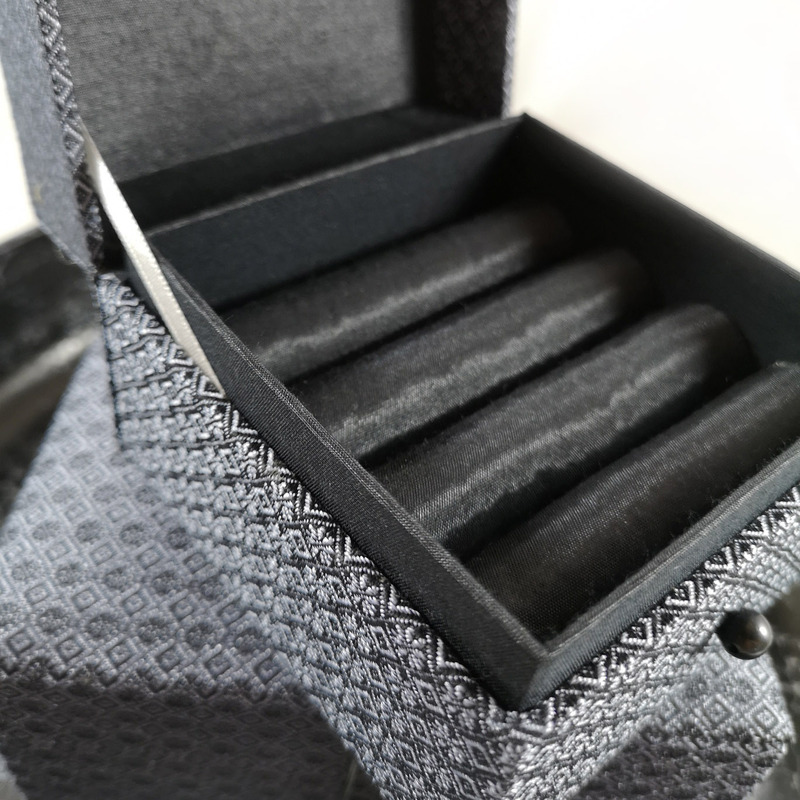 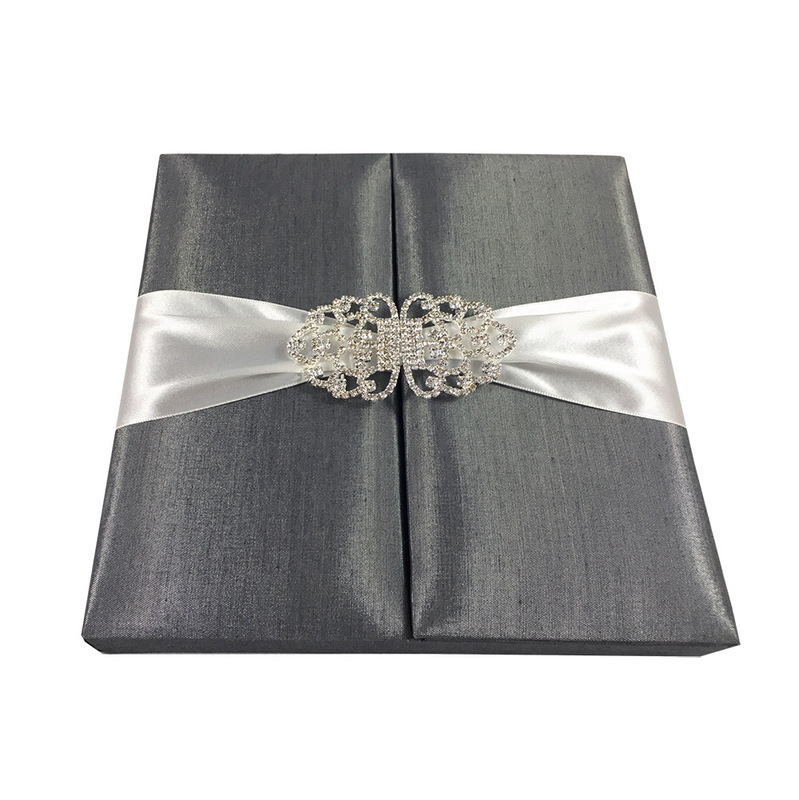 Stylish foil stamped linen jewellery box shown in grey with velour leather interior in black. 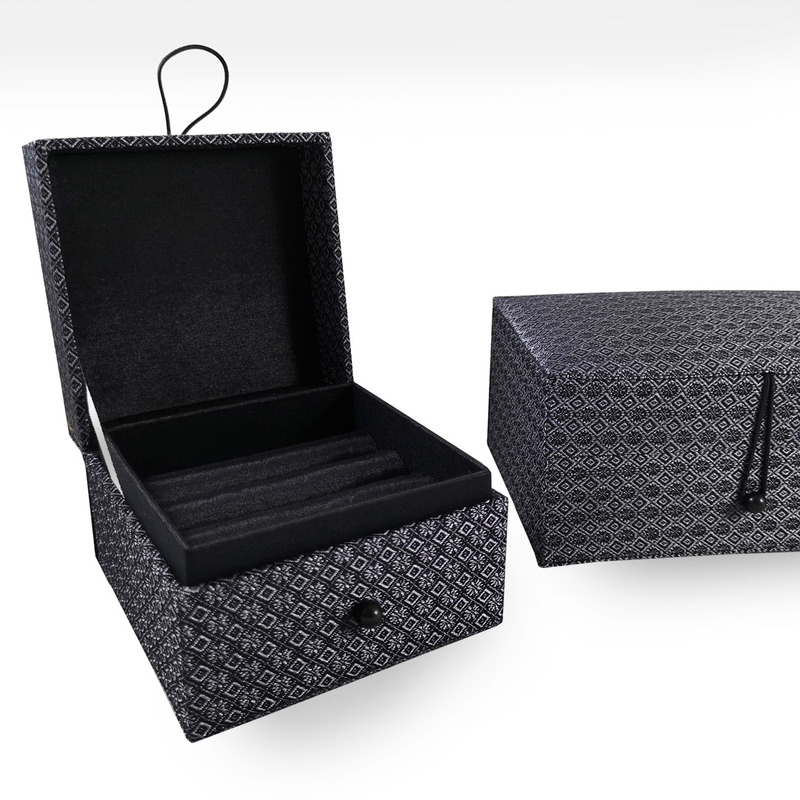 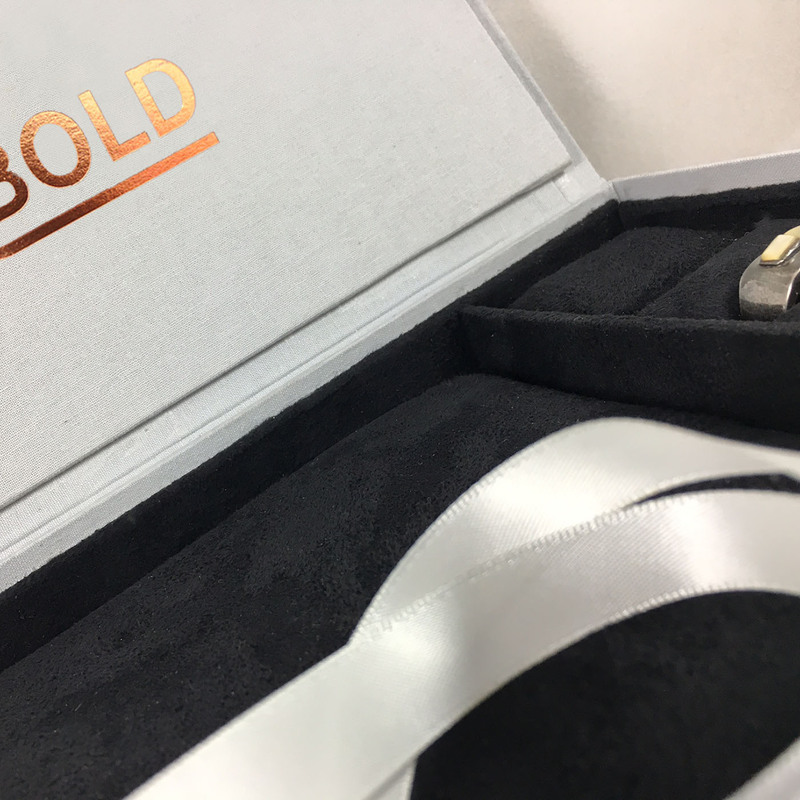 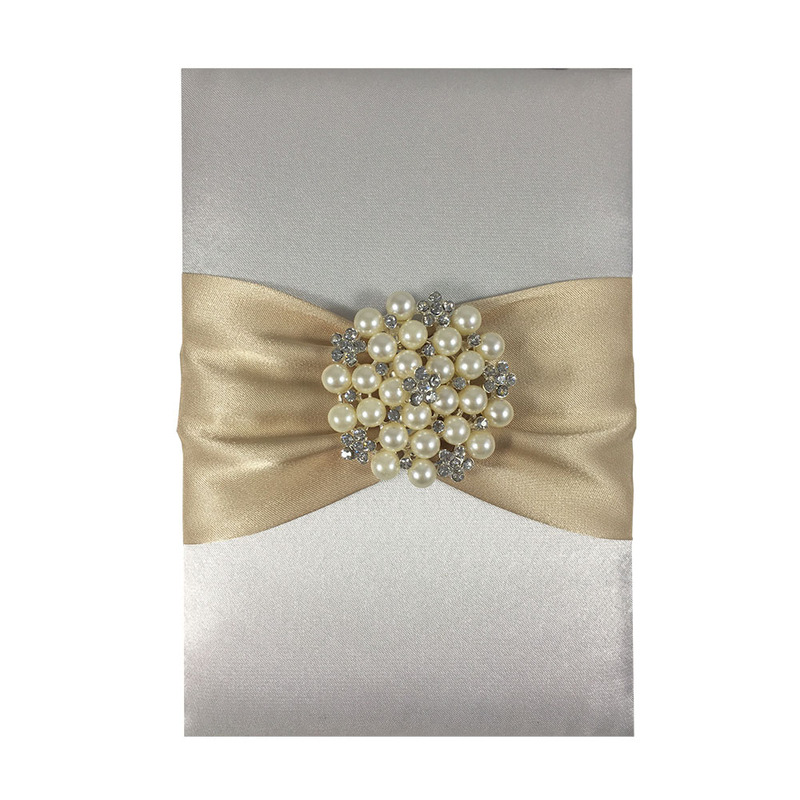 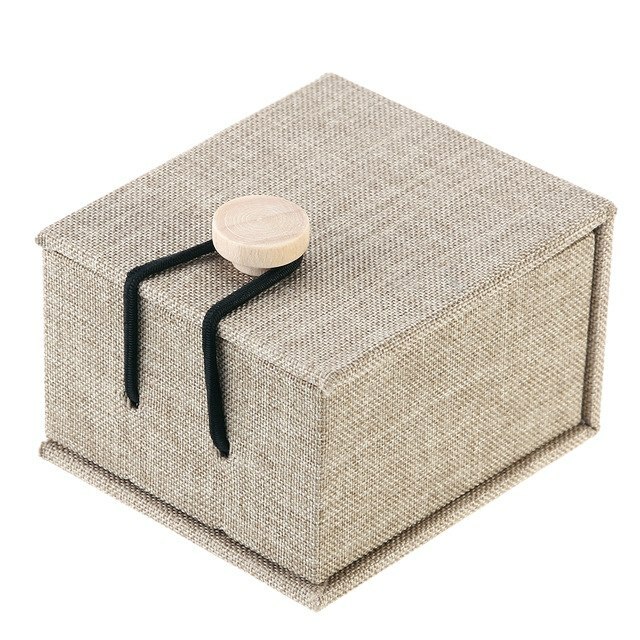 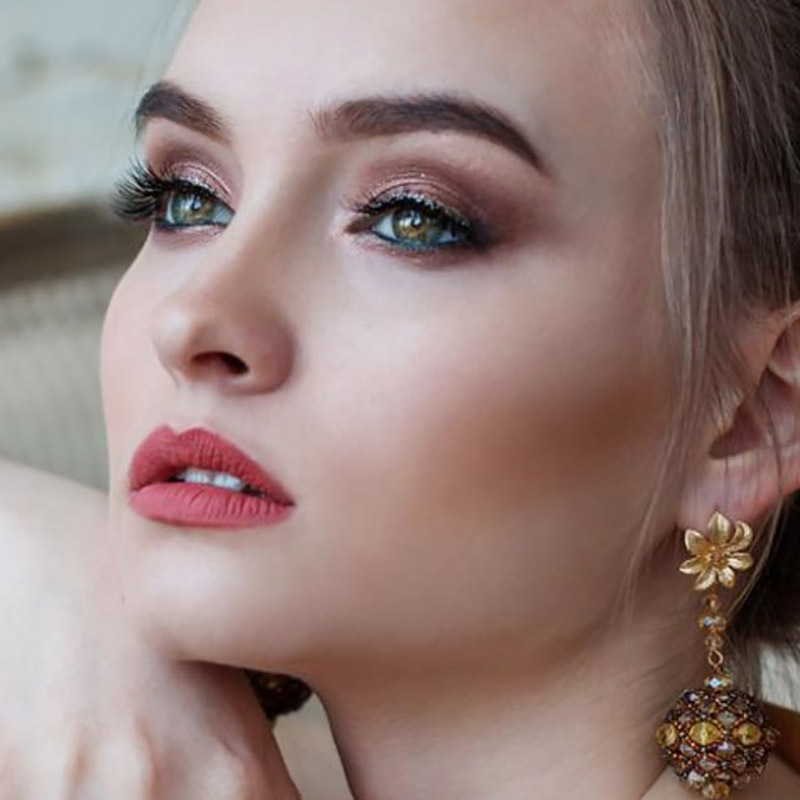 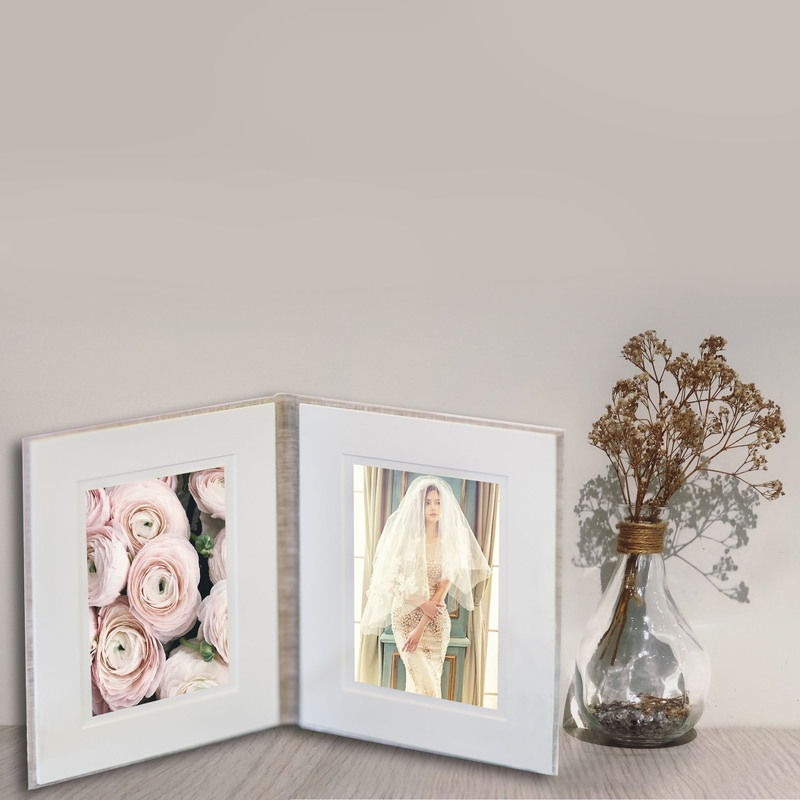 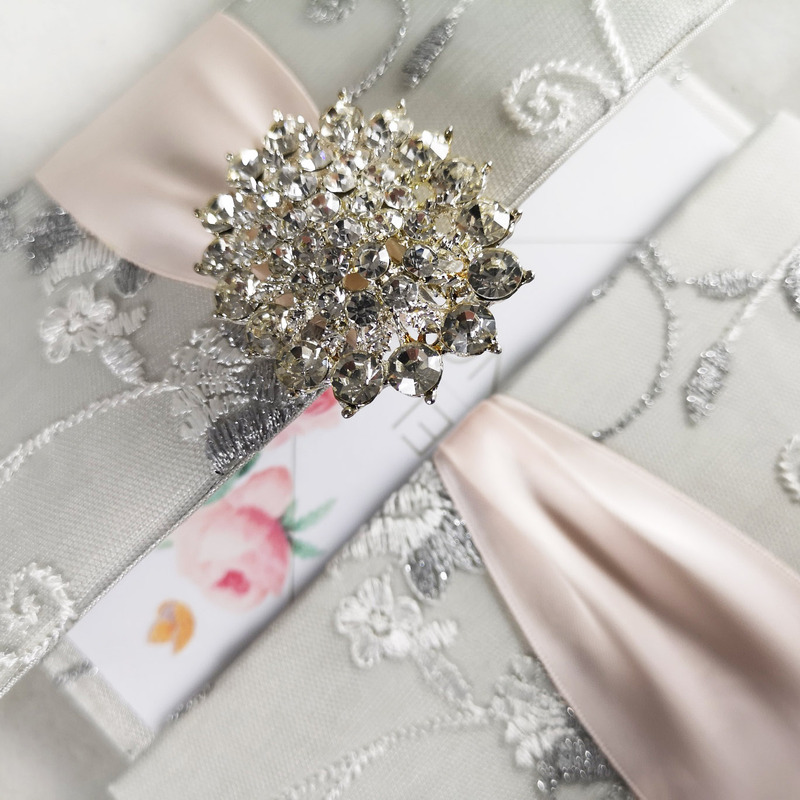 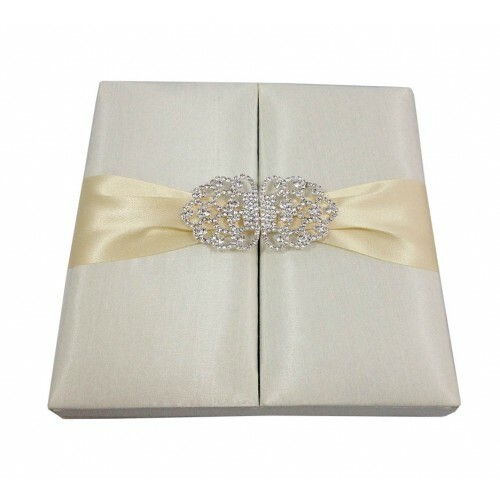 The box interior has compartments for three rings and a large padded compartment for presentation of rings or to house necklace and bracelets. 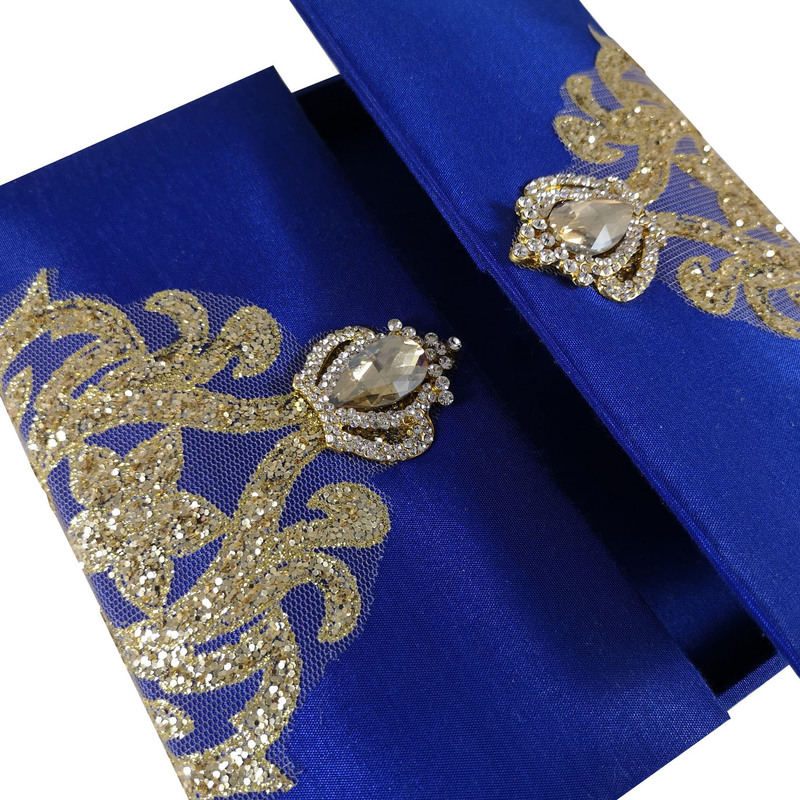 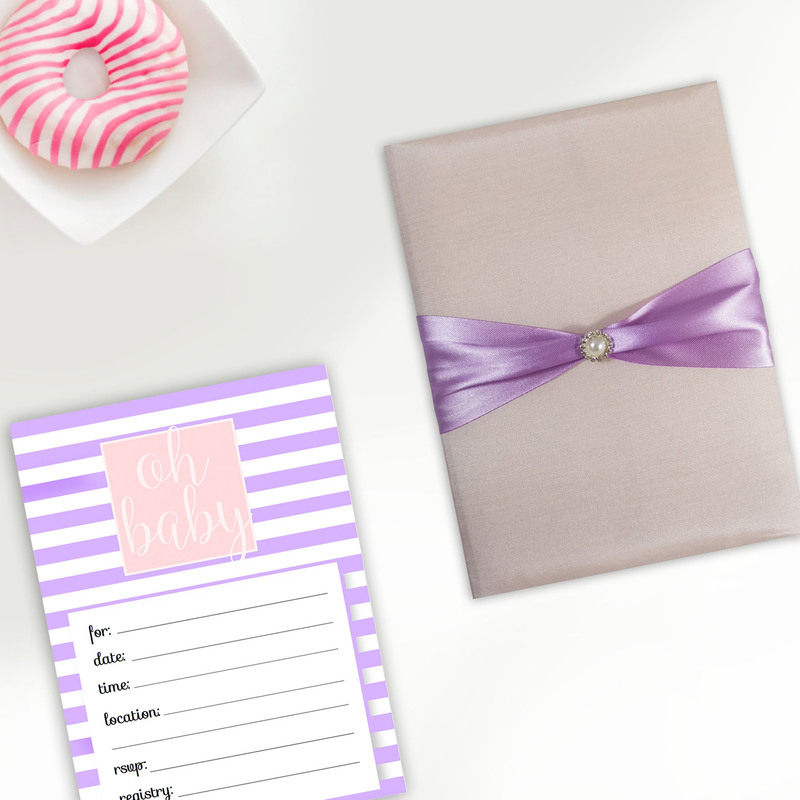 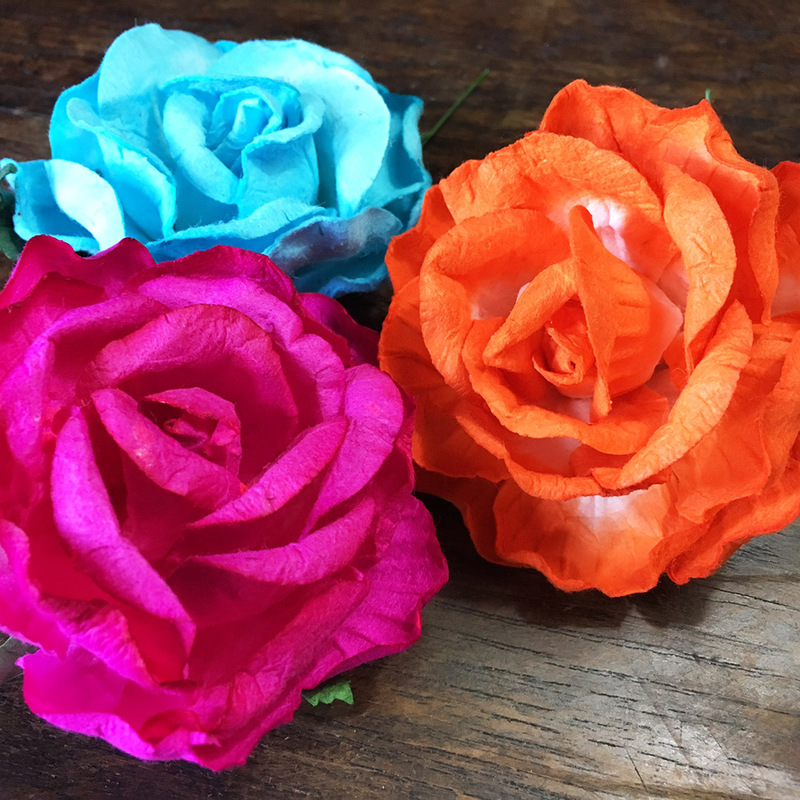 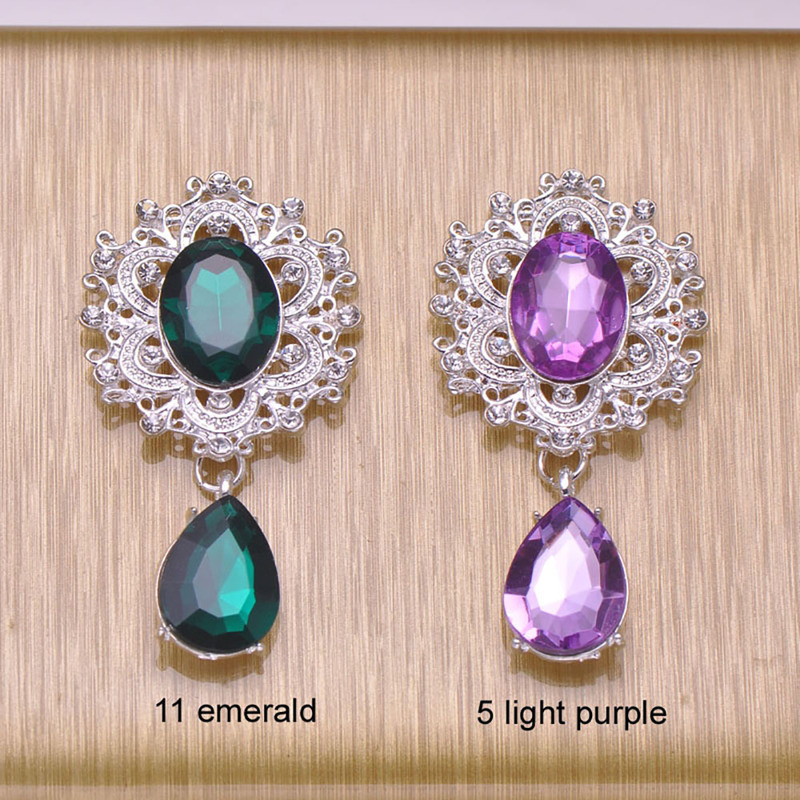 The size and color can be customised with us.